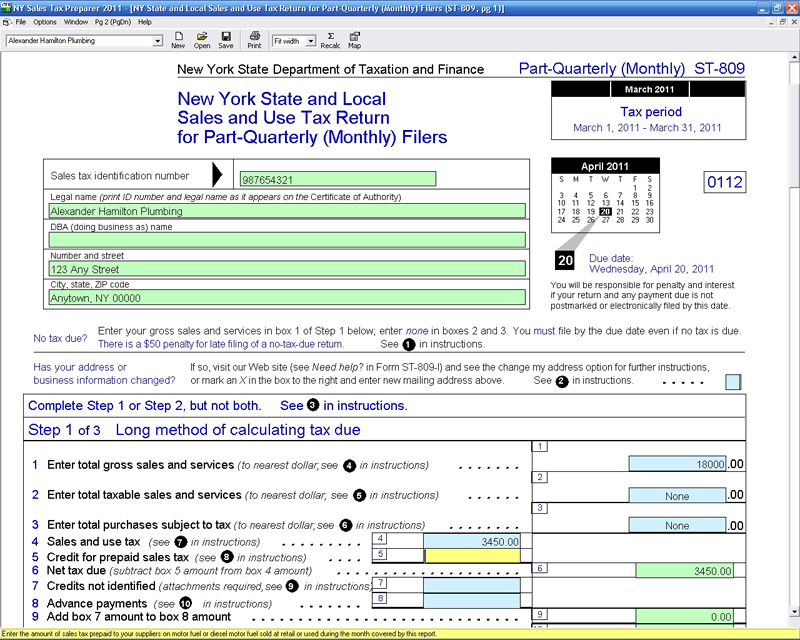 CFS New York Sales Tax calculates and prints Quarterly, Part-Quarterly, and Annual New York Sales Tax Returns. Forms and schedules are filled in onscreen for fast and easy data entry. The program automatically computes the taxes and vendor collection credit and generates complete sets of forms and schedules in minutes. Our forms and schedules are certified for direct submission to the New York State Department of Taxation and Finance.